BH Cosmetics Brush Set Royal Affair 10 PC Metalized Makeup. Condition is New. Shipped with USPS First Class Package. Large Crease Blending Brush. Tapered Crease Blending Brush. Detailing Crease Blending Brush. Tapered Powder Brush. Large Chiseled Contour Brush. Large Flat Top Buffing Brush. 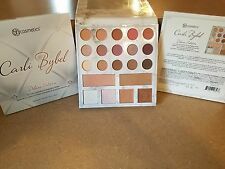 Itsmyrayeraye 21 Color Matte Eyeshadow Highlighter, Contour & Palette FREE SHIP! The ultimate multipurpose must-have, Itsmyrayeraye 21 Colour Matte Eyeshadow, Highlighter And Contour Palette contains everything you need to create stunning eye looks, calve out your cheekbones and accentuate your favourite features. 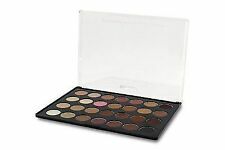 Bh Cosmetics Eyeshadow Palette ~ Neutral Eyes 28 Color ~ Shades ~ New in Box. Condition is new. BH COSMETICS BRUSH SET ROLL UP Clasp Close 15 Brushes. Condition is New. Shipped with USPS First Class Package. 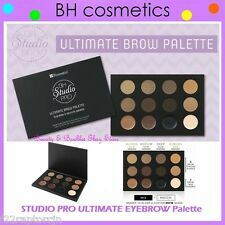 BH Cosmetics Itsmyrayeraye 9 Piece Brush Set Makeup Brushes New. Condition is New. Shipped with USPS First Class Package. NIB * BH COSMETICS * COLOR LOCK LIPSTICK * LONG WEARING * DARK ROSE * AUTHENTIC! BH COSMETICS LIMITED EDITION COLOR LOCK LIPSTICK COLOR: DARK ROSE Lock in the color of your lipstick with this rich and creamy, long-wearing matte lipstick. Bold pigments stay in place all day while shea butter nourishes skin for soft and beautiful lips. Benefits Shea Butter for Moisturization, Long Wearing, Highly Pigmented, Clinically Tested, Non-Irritating, Allergy Tested This item is limited edition. 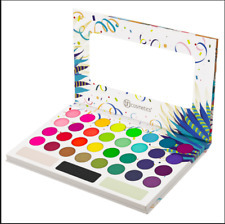 Create infinite eye looks with our Ultimate Matte – 42 Color Shadow Palette. Matte finishes. DERMATOLOGIST TESTED. Shade may vary slightly in color due to computer, monitor & phone settings, and lighting conditions when pictures were taken. Sleek & Velvety Finish. 100% Genuine & Authentic - not a copy or fake; item was received direct from the manufacturer. 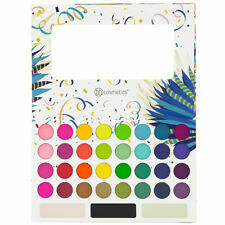 Looking for a complete set of the best makeup brushes to apply powders, creams and liquids?. You can create an endless array of looks with this 5-Piece Face Essential Brush Set. This collection of luxury makeup brushes includes five synthetic face brushes which can be used to create a flawless complexion. Angled Flat Top Buffer Brush. Mirror, mirror, on the wall, what are the coolest brushes of all?. This Smoke 'N Mirrors 10-Piece Makeup Brush Set! SMOKE 'N MIRRORS Brush Set. Angled Shadow Brush. Blending Crease Brush. The bonus Deluxe Fan Brush included is a great brush for bronzing the chest or body. Small Smudge Brush. PINK-A-DOT Brush Set. Classic Foundation Brush. Deluxe Fan Brush. Powder Brush. Angled Blush Brush. WILD Brush Set. XL Powder Brush. Tapered Contour & Powder Brush. Blush Brush. Highlighting Brush. Tapered Blending Brush. Small Shader Brush. Bullet Smudger Brush. BH Cosmetics Signature Rose Gold 13 Piece Brush Set.New Authentic. Condition is New. Shipped with USPS First Class Package.